According to The Wrap and The Hollywood Reporter, Val Edward Kilmer, 58, is going to reprise the LT Tom “Iceman” Kazansky pilot role. Kilmer played the role 32 years back which brought him to superstardom. While Cruise has tweeted on May 31 that the production for the much-awaited sequel to Top Gun Movie has started, the news about Kilmer being part of it came out when he was seen in the San Diego hotel headquarter where Top Gun: Maverick is in progress. The news was actually revealed by The Wrap. 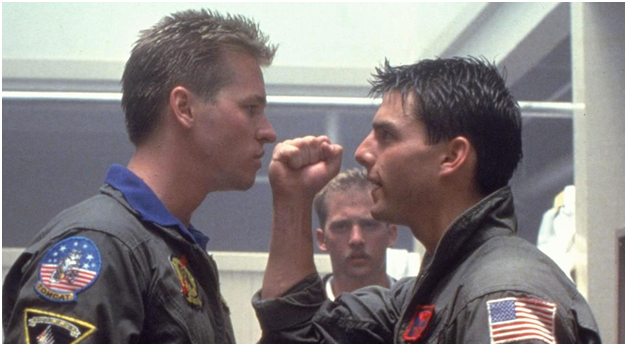 In the first part, Maverick (Tom Cruise) and Iceman (Val Kilmer) were seen in an adversarial relationship, contending for top pilot status at the legendary military fight school. One of the famous lines from the movie was when Iceman says to Maverick “I don’t like you because you’re dangerous”. Kilmer seems to be excited for reprising his famous character since the time Top Gun: Maverick was announced last year. He has written in his post “I’m ready Tom- still got my top gun plaque! Still got the moves! Still got it”. Well, the Top Gun fans will be very excited to watch their favorite character coming back to the screen. Next story Meet the “OVERWEIGHT” ASOS Model Who Became an “OVERNIGHT” Sensation!